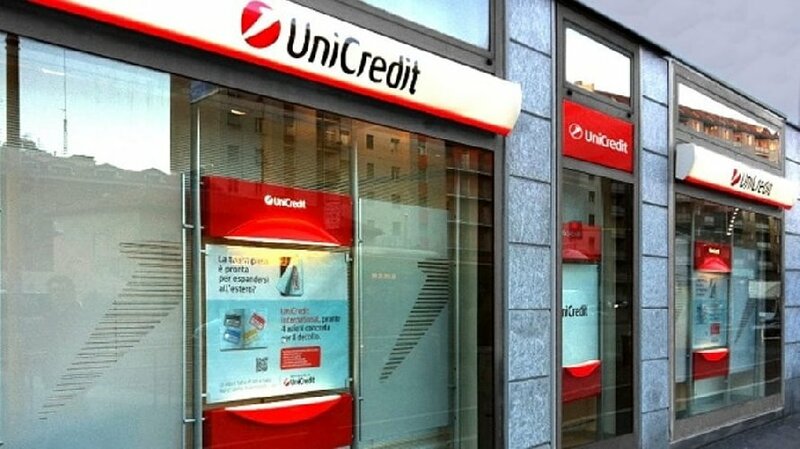 ROME (ITALY), Monday, April 8, 2019 (MERCURPRESS.COM) - UniCredit announced the successful completion of its first Italian transaction via blockchain-based trading platform we.trade. The first of its kind in the Italian market, UniCredit facilitated a tinplate trade between metal packaging producer Gruppo ASA and its supplier, Steelforce, which was supported by KBC Bank in Belgium. Through the creation of a smart contract on the we.trade platform, payment will be automatically triggered according to the terms agreed by the counterparties once the buyer has confirmed the delivery of the goods, making the transaction considerably faster and more transparent. Many banks and companies are looking for a more efficient and cost-effective way to trade internationally. we.trade allows companies, particularly those in the SME segment, to identify trusted counterparties for establishing new commercial relations – providing full visibility on transaction and shipment status, digitalizing the whole process from order creation to payment execution. Within the platform, companies can also access financial services provided by their bank, such as Bank Payment Undertaking (BPU), where the buyer’s bank provides the seller with an irrevocable undertaking to pay the invoice at maturity date, and BPU financing, where the seller’s bank provides financing by discounting the BPU of which they are a beneficiary. Gruppo ASA and Steelforce were able to finalise the transaction in just few days, largely due to the efficiency of the platform. Luca Corsini, Head of Global Transaction Banking at UniCredit, commented: “we.trade is a success story in the field of inter-bank collaboration and we are glad to announce the first transaction of its kind on the Italian market. We believe that we.trade can contribute to redefine business relationships among SMEs, removing obstacles that typically make international transactions costly and complex whilst delivering concrete benefits for our clients”. Guido Cicognani, Chief Financial Officer of Gruppo ASA, added: “Our Group is always looking for the best production technologies. With this in mind, we decided to extend our thirst for innovation also to the financial sphere and be the first company in Italy to use we.trade, thus pursuing a completely digital and therefore more linear, transparent and easy to monitor order management process. Steelforce is the first partner in this initiative, and we will extend the use of this platform to other interested suppliers and customers in Europe”. The we.trade project started in 2017 with UniCredit and another six primary European Banks (Deutsche Bank, HSBC, KBC, Natixis, Rabobank and Société Générale, then latterly Nordea and Santander) who set up a consortium with the aim of simplifying the financial processes underlying international trade for SMEs. Following the decision of the consortium to establish the ‘we.trade Innovation DAC’ company in 2018, another four European Banks (CaixaBank, Erste Group, Eurobank and UBS) joined and will be available on the platform in the coming months. Currently, 13 European Banks operating in 14 European countries (Austria, Belgium, Denmark, Finland, France, Germany, Greece, Italy, Norway, Holland, Spain, Sweden, Switzerland and United Kingdom) are part of the initiative.